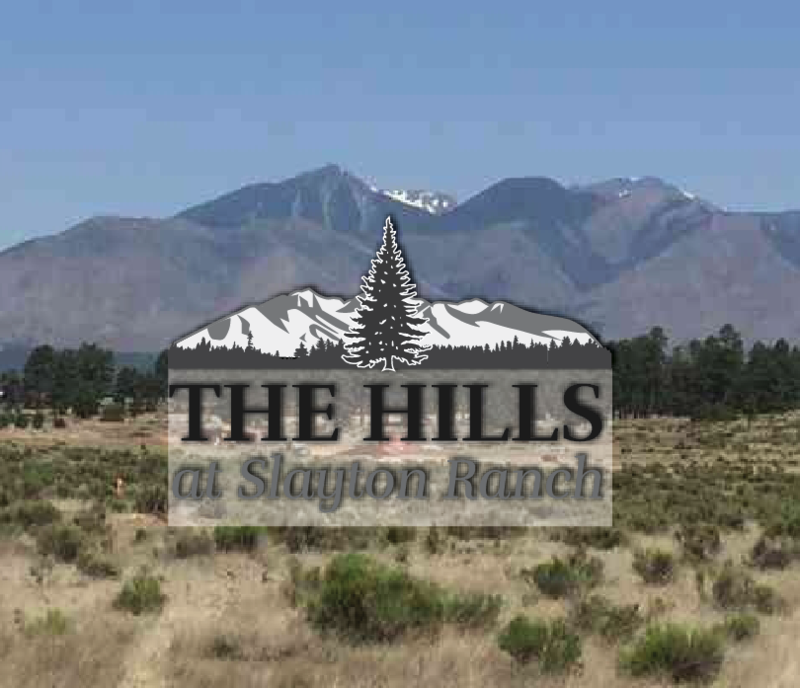 Description: Welcome to the new, fourth phase of Slayton Ranch Estates! OVER HALF OF ALL LOTS SOLD! Take advantage of this opportunity to own some of the best views in Flagstaff. Enjoy stunning peak views and immediate access to national forest! Lot only ; will build to suit. Description: Lot 107 - 8985 Richfield DR, Flagstaff, AZ 86004. **FOREST BACKING LOT**New subdivision w/ many Coconino National Forest backing lots known as The Hills at Slayton Ranch is the Premier Rural Equestrian neighborhood in east rural Flagstaff with all the amenities: Amazing Views of the San Francisco Peaks & many mountains in the surrounding forest service, APS Electric, Doney Park Water, Telephone, Unisource Natural Gas, County maintained and Paved Roads with easy access to the Coconino National Forest, CC&R's, Architectural Design Guidelines/Architectural Review Committee, minimum home size of 2000 square feet. The purchaser shall be given a copy of the public report, read the public report, sign receipt of the issuance of the public report, along with the contract. Slayton Ranch Estates Subdivision is served groundwater by Doney Park Water. Lot only ; will build to suit. Description: Welcome to the new, fourth phase of Slayton Ranch Estates! OVER HALF OF ALL LOTS SOLD! Take advantage of this opportunity to own some of the best views in Flagstaff. Enjoy stunning peak views and immediate access to national forest! This lot borders nati. Lot only ; will build to suit. Description: Welcome to the new, fourth phase of Slayton Ranch Estates! OVER HALF OF ALL LOTS SOLD! Take advantage of this opportunity to own some of the best views in Flagstaff. Enjoy stunning peak views and immediate access to national forest! This lot borders national forest! Lot only ; will build to suit. Description: Welcome to the new, fourth phase of Slayton Ranch Estates! OVER HALF OF ALL LOTS SOLD! Take advantage of this opportunity to own some of the best views in Flagstaff. Enjoy stunning peak views and immediate access to national forest! This lot backs national forest. Lot only ; will build to suit. Description: Welcome to the new, fourth phase of Slayton Ranch Estates! OVER HALF OF ALL LOTS SOLD! Take advantage of this opportunity to own some of the best views in Flagstaff. Enjoy stunning peak views and immediate access to national forest! This lot borders national forest on two sides! Lot only ; will build to suit. Description: Welcome to the new, fourth phase of Slayton Ranch Estates! OVER HALF OF ALL LOTS SOLD! Take advantage of this opportunity to own some of the best views in Flagstaff. Enjoy stunning peak views and immediate access to national forest! This lot backs national forest on two sides. Lot only ; will build to suit. Lot only ; will build to suit. Description: Brand new subdivision w/ many Coconino National Forest backing lots known as The Hills at Slayton Ranch is the Premier Rural Equestrian neighborhood in east rural Flagstaff with all the amenities: Amazing Views of the San Francisco Peaks & many mountains in the surrounding forest service, APS Electric, Doney Park Water, Telephone, Unisource Natural Gas, County maintained and Paved Roads with easy access to the Coconino National Forest, CC&R's, Architectural Design Guidelines/Architectural Review Committee, minimum home size of 2000 square feet. The purchaser shall be given a copy of the public report, read the public report, sign receipt of the issuance of the public report, along with the contract to purchase. SlaytonRanch Estates Subdivision is served groundwater by Doney Park Water. Lot only ; may build to suit.